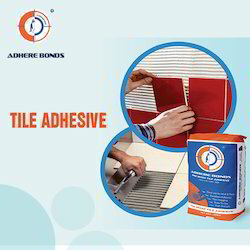 Tile Adhesive White Adhere Bond-007 white polymer modified cement-based wall and floor like adhesive suitable for fixing tiles and natural stones in interior / exterior use, including swimming pools. 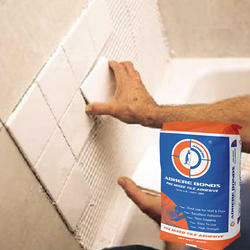 Ceramic Tile Adhesives offered are suitable for fixing all types of tiles over various substrates. 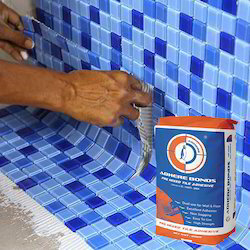 General Purpose Tile Adhesive ceramic and mosaic tile adhesive for use on all type of dimensionally stable masonry substrates such as sand/cement screed, precast concrete. 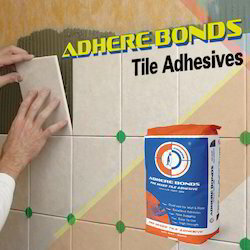 White polymer emulsion for use with cement based grouts, suitable for use in interior and exterior locations in both dry and wet service conditions, Adhere Bond TGL is a polymer additive for joint fillers eg. 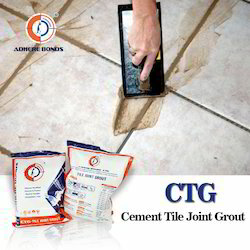 Adhere Bond CTG. 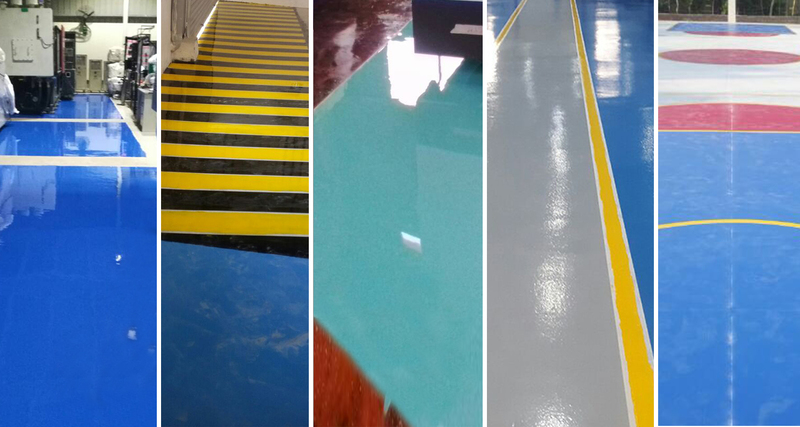 Multipurpose Epoxy Adhesive is a high strength structural adhesive used to bond and assemble sub-components to form rigid final structures. 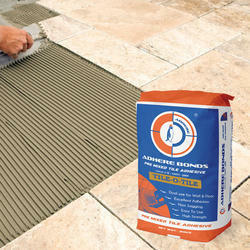 The high viscosity provides excellent gap filling characteristics that strengthen loose fitting joints and panels. 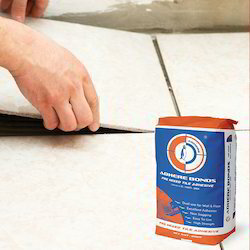 Cement Tile Joint Grout offered support perfect bridging of cracks/gaps in concrete structures. 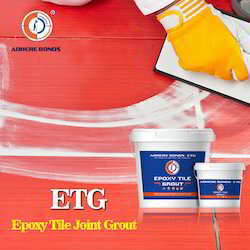 Our company has achieved laurels in offering Adhere Bond - ETG (Epoxy Tile Joint Grout) to the clients. 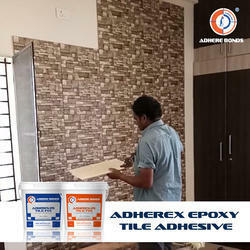 Adhere Bond - ETG (Epoxy Tile Joint Grout) is accurately made under the utmost care of supervision of expert professional. This product has gained huge appreciation in the market for outstanding quality, long life and other remarkable attributes. Offered range is fully tested at various parameters. 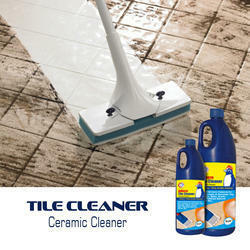 Our company has achieved milestone in offering Tile Cleaner Adhesive Adhere Clean (Ceramic Cleaner) to the clients. This product is cautiously processed under the stern surveillance of adept medical professionals, in strict adhering to accepted norms of quality. 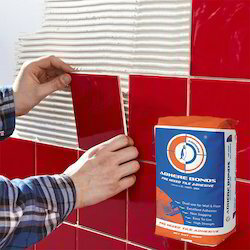 Adhere Clean (Ceramic Cleaner) is widely prescribed owing to high effectiveness and precise composites. Offered range can be avail in premium packaging as per need of valuable clients. This product is thoroughly examined on various parameters like accurate composition and shelf life. Offered range is hugely appreciated by respected clients. 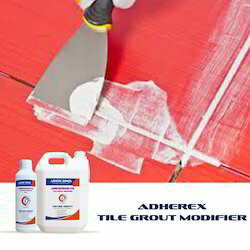 Tile Adhesive (Tile On Tile) solutions offered support minimizing shrinkage cracks due to its self curing properties.